If you want to create a healthy indoor space that is free from the toxins that surround us, you are in the right place. I am here to help families at every stage create a healthy house and create the building block for a healthy life. From your air quality to the water you drink, I will take you on the step by step journey to ensure your family’s health comes first. The health of your house has the greatest impact on the health of your body. Did you know that most of us spend up to 80% of our time INDOORS? That means that the type of home environment (our home’s healthy building biology) we live in has a huge impact on the health of our loved ones. A healthy house can improve your health and a sick house can cause ailments from allergies to increase your risk of serious health problems. That's where healthy house on the block comes in. I want to empower you with the knowledge and resources you need to create the HEALTHIEST living space possible in easy, affordable steps. No matter what stage of home-ownership you are in (that’s right the Newbies or those who have been around the block a few times), I can help you take the necessary actions to remove toxins and potential safety issues in your home. I want everyone to have the healthiest living environment possible. A healthy living environment helps prevent illness and disease in you and your loved ones. In addition, your home is probably your BIGGEST investment. I want you to avoid paying thousands of dollars in unnecessary repairs that a sick house can cause. I specialize in Indoor Air Quality Testing & Improving, EMF Detection, Water Quality Testing, Toxin Removal, Mold Detection and more. I want to meet you wherever you are on your journey of owning a healthy house that protects your health. Below are some of the places that you can start learning about and preventing the toxins in your home. Let me help you personally create a truly healthy house both in person or virtually. Techniques and safe cleaning practices to keep you family safe from toxins. Information on the importance of drinking water for your family. How to create a safe nursery and home environment for your baby and child. 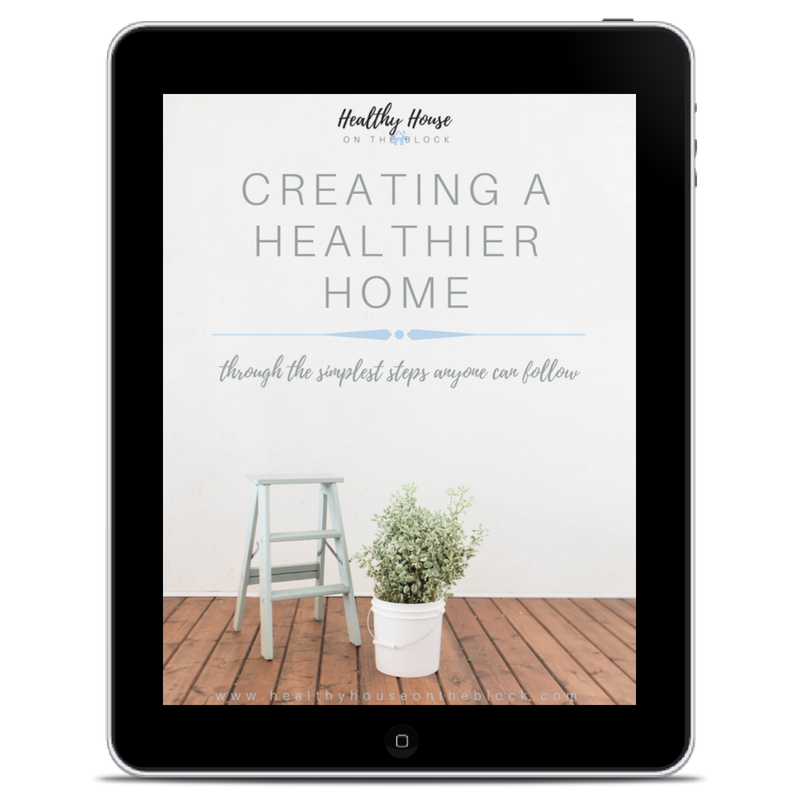 Free to download workbooks and guides to help you create a healthy house. Easy to follow steps to improving the air quality inside your home.